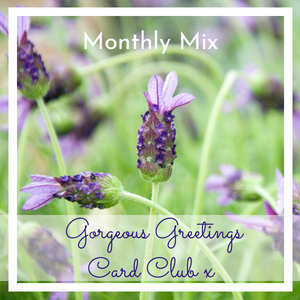 Join my money-saving Card Club and get gorgeous photographic cards, blank inside and suitable for all occasions and recipients, delivered direct to your door. Get ready to spread the joy of snail mail, with cards you know the recipient will love as much as you do, and start sending some happy post! Read more info on the Gorgeous Greetings Card Club page.